I opened this thread thinking it was about a hot European supermodel. @LargeAddick cracked that joke some three years ago. Must admit haven't read anymore than the first couple of sentences of the first post. Apologies all - I bumped this to praise the performance of Slovakia's goalkeeper who plays for Viktoria, only to realise it was some other bloke because the normal guy's injured! Actually it looks like Dubravka, tonight's keeper, is first choice for Slovakia now. He plays for Sparta Prague. AFAIK Kozacik isn't injured, hope not. I got all excited reading the first few remarks on this thread before realising they were six years old. Good thread about what footie should be all about, though, keep it up PA, and thanks. This is how you tear up a league. This, their 13th straight win was against their biggest threat, Slavia Prague, whose main sponsor now is the Chinese State. There are people seriously saying the title is already theirs. Norman Tebbit cricket test for you young @PragueAddick ! Viktoria Plzen v Charlton Athletic or the other way round. Where would your loyalties lie? No contest. Of course, we are no longer young. Years of history, the sense of "home" no matter how far away you are, mean that no other club can replace it. Literally "Charlton til I die". You know, us lifelong Charlton fans, we've never had the chance to really take the piss, have we? 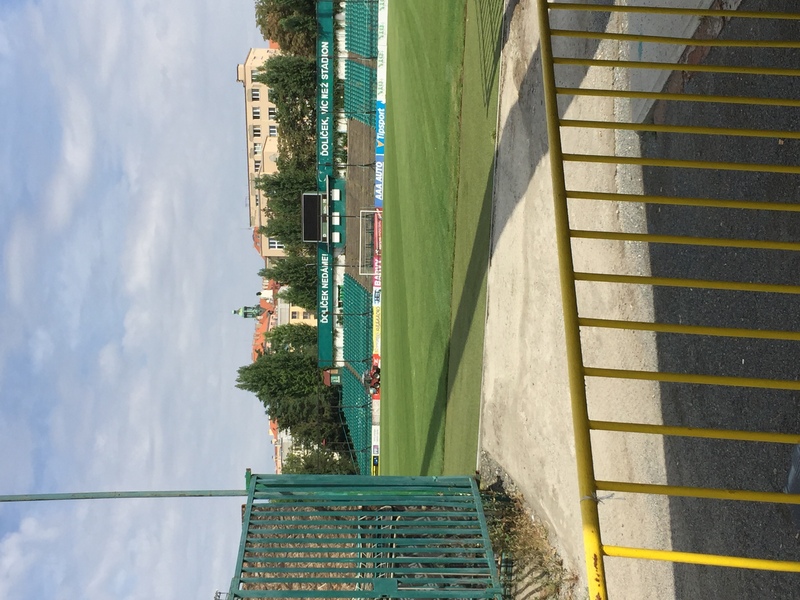 I keep a close eye on the Czech league after watching loads of games when I lived there. 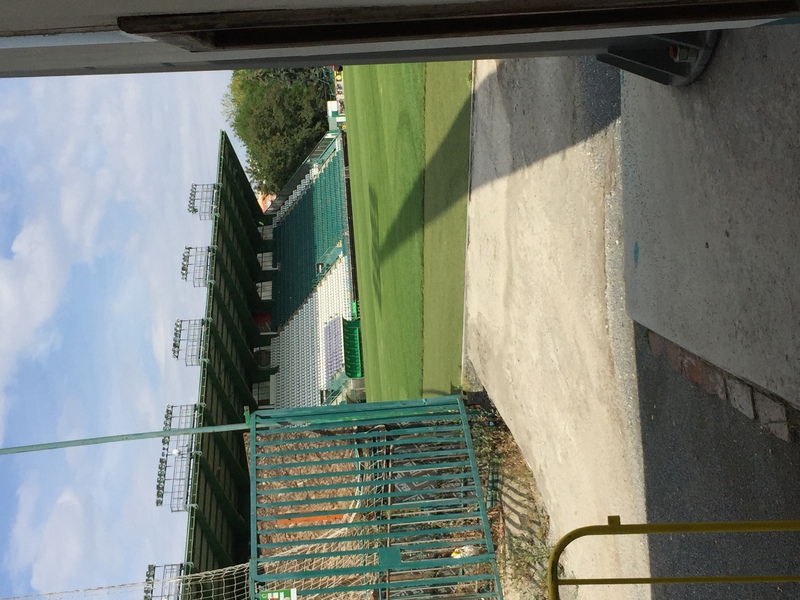 Never managed to see Slavia at their 'new' ground as they were playing up in Strahov the years I was living there. Most friends were Sparta fans but I used to enjoy going to Viktoria Zizkov. Great little club and ground and I remember particularly how many rare club badges the stalls used to sell outside the ground, as well as the famous half time sausage with mustard. Still keep an eye on them in the second division, and am following their game at the moment (currently 0-0)! But they did qualify for the Europa League knockout stage on Thursday night, and as I know from experience, on such nights the players have been known to turn up in the pub next to the ground to join in the epic celebrations. The Europa League may be sneered at in England, but tonight I've been here to enjoy one of the best live games I've seen for years, even though Viktorka went out, guns blazing to the end. I love the atmosphere of these games here. If you imagine European football coming to Barnsley, that's about it. The whole city is up for it, but in a humble way. Viktoria were 2-0 down from the first leg, and it seemed to me that at last their ageing team had run up against a much younger team with loads of talent. But a first half goal could make all the difference. It came on just 6 minutes and the place was rocking. But Sporting decided to play high up and Viktoria created few more chances in the first half. Extra time and Viktoria dominate, but as the first period goes into extra time of one minute, Sporting are pressing. A player is down then there is a corner. Sporting score. 105+3 according to Live Score. Then the ref blows for the break. the stadium goes completely silent, like I never heard before. Because Viktoria now need two goals. Typical Viktoria, they give it a real go, it was never going to happen but the crowd are singing versions of "we're proud of you" all the way to the end. And then it is back to my buddy's new pub in the centre, everyone consoling themselves with the fantastic beer and watching the highlights on the tv. That's the Europa League, in a small city in the heart of Europe. Sounds like a great night even though you lost. That's what football is all about, the whole town behind team, taking on the big boys and matching them, memories you have forever. Championes again! 7points ahead of Slavia with one game to go. UCL football plus the best draught beer in the world for me next season. Now if only they would ditch the current shirt and revert to something more red, everything would be perfect. No idea what happened (i assume complacency), but they seemingly had a bit of a meltdown. Won all of their first 14 games.............then won only 4 of the next 14. Should've had it wrapped up weeks ago but somehow it went to the penultimate game. That's right, and a reason why I had not been pushing this thread recently :-). My buddy who is normally the most positive person on the planet was very nervous on Friday. The Viktoria captain is his next door neighbour and assured him it would all be OK. Me, I mentioned Charlton in 2000, and also pointed out that the team visiting Slavia, Jablonec, had skin in the game; and on that at least I was right, Jablonec went 3-0 up in the first half hour and never looked back. It all seemed to go wrong after that epic Sporting Lisbon tie. They were still way ahead in the league but somehow it knocked the stuffing out of them. I suppose its a question, how do you motivate a team that is so far ahead in the league, in March? Shows you what a fantastic job Guardiola has done at City, I think. If thats the teams that are already in the Group Stages of the Champions League, how many places are left for the Qualifying teams? Its just become even more of an old boys club now that Tournament!! That's 26 teams listed above and the group stage is 8 groups of 4 so only 6 places left for the teams that go through the qualifying rounds. As you say it's now an old boys club and is getting boring. How many more times can BT have a wankfest over Barcelona playing an English team? i.e. Man City like others can now put pressure on UEFA to ensure that the Champions League remains favourable for them and their revenue, yet not 20-years ago were playing Gillingham in the third tier... What gives them (or any club) the right to dictate terms like that!! Shows you how far Dutch football has fallen that they don't even have an automatic qualifier these days. 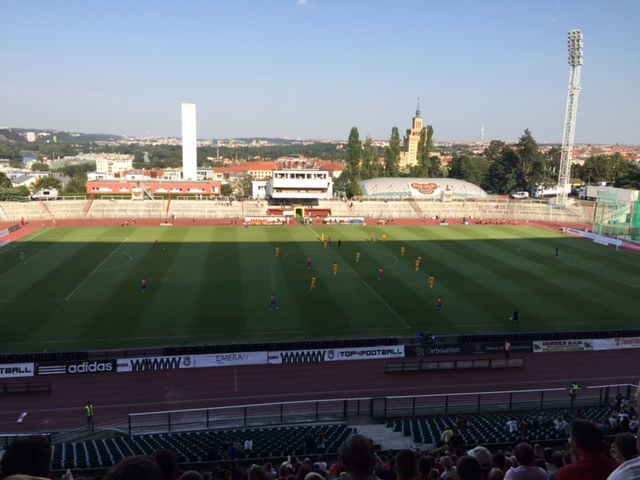 So the Czech season started last night, and Viktoria were starting it just down the road from me at Dukla. 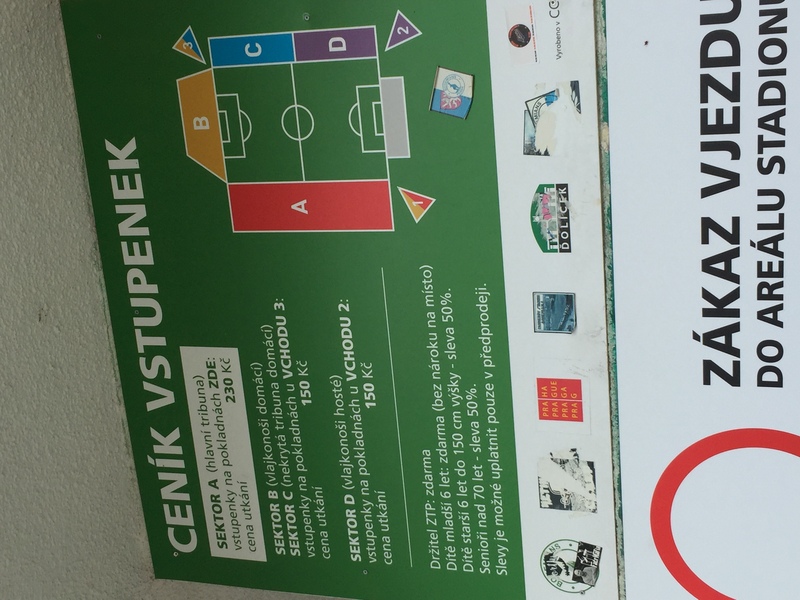 Attached a couple of photos to show just how weird the modern Dukla footie experience is. 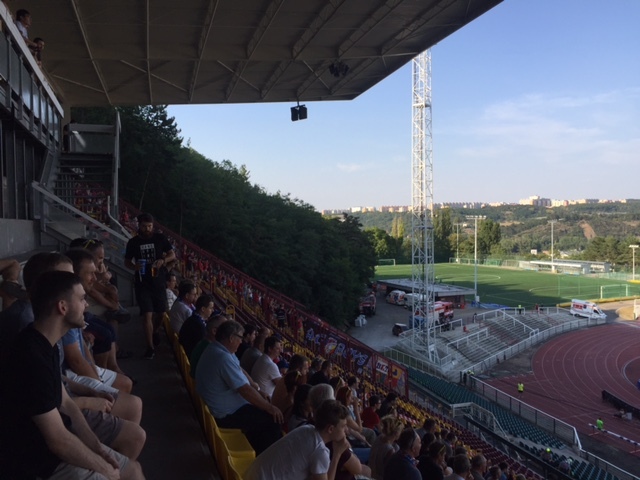 There is basically just one big stand in use, but it does offer epic views over Prague. The away fans are in some enclosure off to the left (sorry that the second picture is too dark to show exactly how far left. But they are to the left of the left hand goal line. Totally unacceptable, really. No matter, a lot of Viktoria fans in full colours bought seats in the main stand, and nobody minded at all. Our tickets cost just over £6. The attendance was 5,024. That is double what Dukla usually get and despite it being live on cable TV. Probably 1,200 or more from Plzen which is only a an easy hour or so drive away. I kept reminding myself, the team in red is a group stage UCL club that will put their feet up while the likes of Ajax struggle through the qualifiers. (Which of course is a fantastic achievement by Viktoria, because UEFA doesn't really want minnows like them polluting the group stages). As for the game, in the first half Viktoria were dire, as if their heads were still on the beach and they were a goal down well into the second half, then the coach lost patience, made a double sub, and suddenly the old Viktoria started cutting Dukla to pieces, the lead overturned in two minutes, and eventually they won 3-1. Where are Dukla playing since they came back and have they still got the same fanbase as in their glory days? When I lived there (2003-2004) they were out of business but I did read they brought back the team. 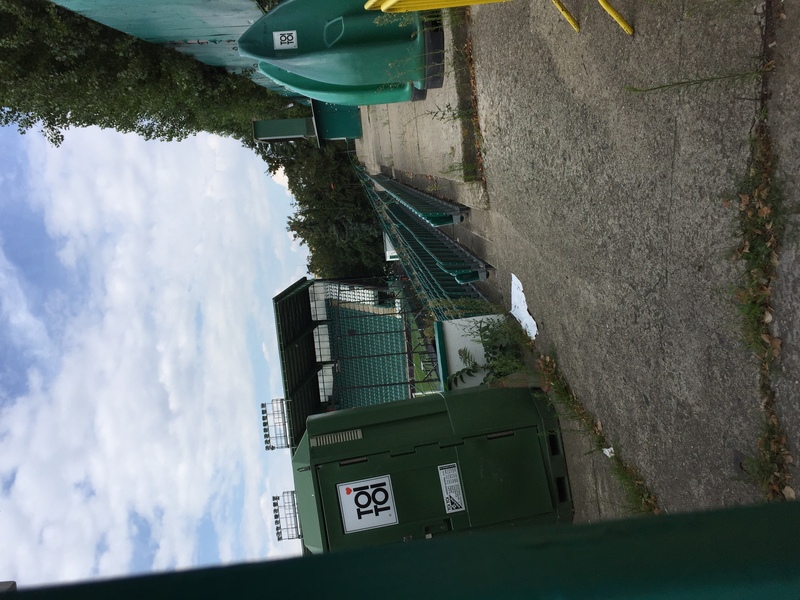 I was always a Viktoria Zizkov fan and had some good times at their ground as well as a few games at Bohemians and Slavia when they were playing at Strahov. Seem to remember badge sellers at lots of grounds - is that still a big thing there? Hi @CharltonMadrid , yes they finally returned to "Juliska", when a guy bought the club back off some provincial gangster who had taken them to his home town, and re-named them to boot. 2008, I think. But the ground is a well-kept shadow of its former self, judging by photos I have seen. But no one liked them, and nobody does now. Army team, which conscripted the best players from the other clubs. Now happy clappy families mainly living in one of Prague's most swanky districts where the ground sits. Not sure about the badges, rings a bell though. I'll keep a lookout. 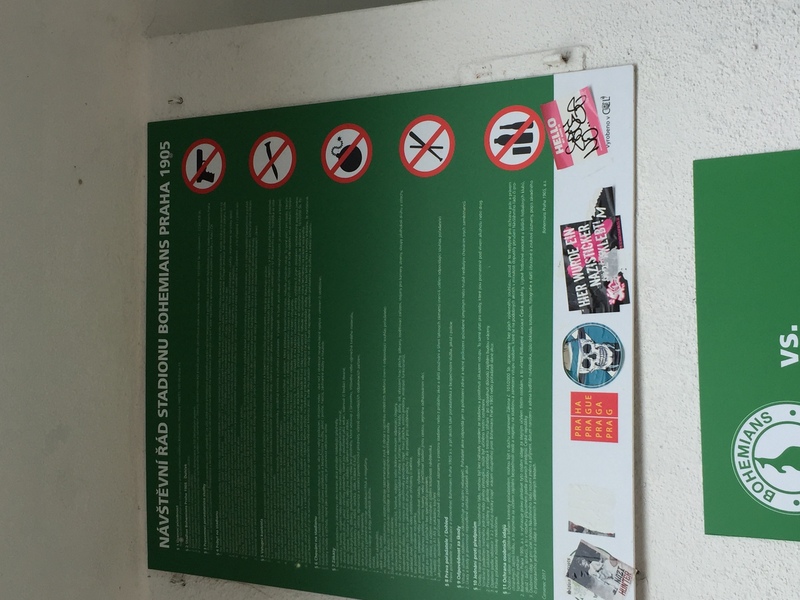 Visited bohemians ground last week whilst in Prague. As far as I could work out the dearest adult ticket in the main (only) stand was about £8 with the rest priced at £5.50. Bar the main stand, the ground is very run down. 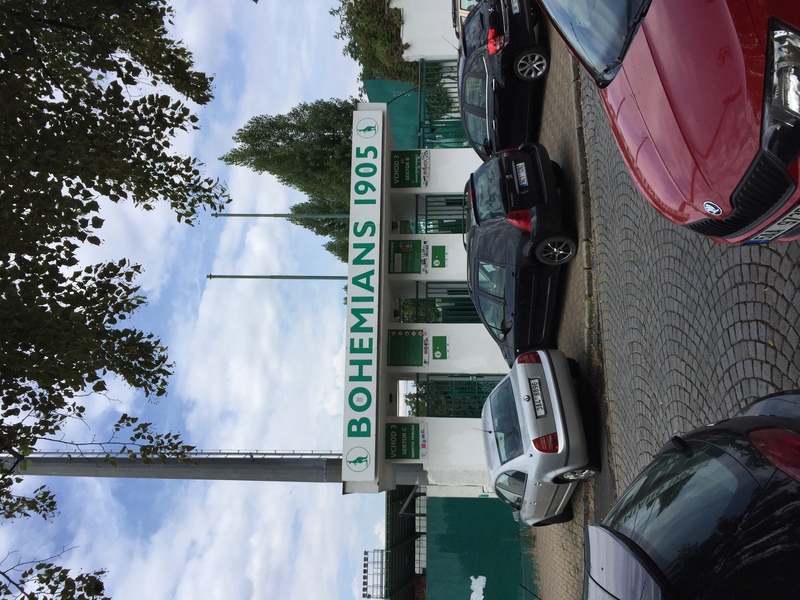 Good fans, Bohemians, constantly fighting to preserve their club and the right to play there. Very complicated. As I understand it City Hall owns the stadium but who owns the land it sits on, is less clear.